Dr Jana Horváthová was born in 1967 in Brno in the Czech Republic. She is the director of the Museum of Romani Culture, Brno/Czech Republic. Her father comes from an ancient Holomek family of Czech Roma (respectively Moravian Roma). She is historian and museologist, co-founder (1991) and current director of the Museum of Roma Culture, a governmental organization (Ministry of Culture – the Department of Museums and Galleries). 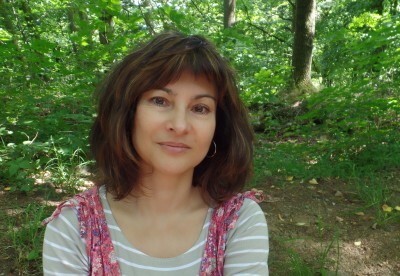 In her scholarly work she focuses on the history of the Roma in the first half of the 20th century. Horváthová is interested in a historic group of Roma who came to the Czech lands in the late 17th century and who became the subject of the Nazi genocide during World War II; thereby she focuses mainly on the method of oral history. She lectures on history, spiritual and material culture of the Roma and published “Kapitoly z dějin Romů. Chapters from the History of the Roma” (Prague, 2002) and “Devleskere čhave. The testimony of old postcards” (Poprad, 2006). 2002–2011 Conceptualisation of the permanent exhibiton in MRC, called “The Story of the Roma”. It presents Roma history and culture from the beginning in India until today. The permanent exhibiton is located on the first floor of the museum and it covers an area of 351 square meters.